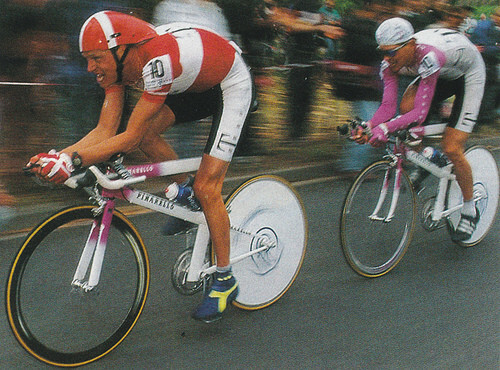 Indurain had a MS power of 550 watts when going all-out, a much higher number than Riis. However, he weighed in at 176lbs (80kgs), 26lbs heavier than Riis! This gave him a power to weight ration of 6.8 watts/kg (550 / 80 = 6.8), 0.2 less than Riis. 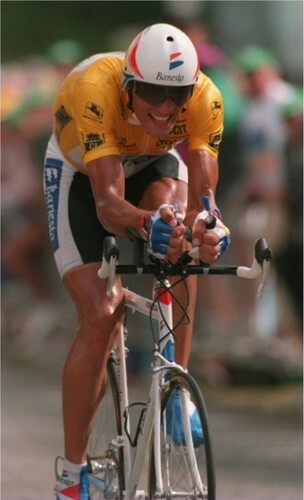 Indurain's much higher MS power gave him the advantage in the time trials, where the main obstacle is wind drag. However, on the longest, steepest climbs of the Tour, this was not the case, as Riis' 0.2 watts/kg advantage made all the difference.